When did you start to play chess? I learned the rules from my mother when I was 3-4 years old. But only when I was 9 we discovered that there are even clubs and tournaments…Then I started to play in child-tournaments, and just before turning 13 I played for the first time in an Open. For the standards of today’sgeneration of young GMs I had a very slow start as you can see. Who was your first trainer? In the beginning I almost exclusively worked with books until I had some lessons with GM Gutman in 2001.
Who gave you most on the road of your chess improvement? This is clearly GM Vladimir Chuchelov, with whom I train since 2002.He accompanied me all the way from a 2140-player to GM-level! I would also like to mention the books of Wassili Smyslov, which I studied a lot when I was young. They contributed much to the formation of my positional play. He is still one of my Chess-Idols. You made a rapid grow in the last two years-became GM and improved your rating vastly. How did it happen? The period you mention begun, when I finished school. Naturally in the last years of my studies I had too little time for chess. But once I finished school I had a strong desire to become at least a GM.I decided to postpone studying at a University and exclusively concentrate on chess. The first year was a bit difficult, with mixed results, but then my work started paying off and I made one GM-norm after another, increasing my rating in almost every tournament. I am very critical of my play and very meticulous in analysis, an attitude that is certainly instrumental for my improvement. You had great chances to become world youth champion the last year in Erevan (Armenia) but lost the final encounter against Ahmed Adly? What happened? Such a 13-round tournament requires a great deal of energy. I had severe difficulties to sleep during the whole tournament and got ill from the food ,so that I was naturally very exhausted after just 10 rounds, as I was only playing on the top boards, getting the strongest opposition of all participants. You are part of the second German team for the Olympiad in Dresden. Who else is in the team? The other team members are our famous Arik Braun, who was U18 WC in 2006, Falko Bindrich who is already GM at 17, IM Sebastian Bogner and Niclas Huschenbeth. What does your federation to prepare you for the Olympiad? They cover the expenses for some important tournaments and about 3-4 times a year they organize training sessions for the youth team. The list of trainers included so far many famous names like Yusupov, Dorfman, Karsten Muller, and lately mainly Ribli, with whom I enjoy training the most. It is very special to work with players from the “golden era” of chess. Because they simply learned chess in the classical way, and often their love for the game can be felt when working with them, which always makes it a very pleasant and enriching experience for me. As it is outstanding I have to mention Anatoly Karpov separately. The youth team also had some training sessions with him, and there can’t be anything better to understand strategic positions, than analyzing with this chess genius. The support we are currently getting from our federation is exceptional, as it is a preparation for the Olympiad in our country. But unfortunately this will all stop after this major event. Do you have a regular trainer? Not anymore, as I still work with Chuchelov, but only very rarely compared to the first years of our collaboration. I mainly work on my own, and whenever it is possible also with chess friends, which is of course more enjoyable. Just some basic ones: German, French, English and Spanish. I want to learn more in the future, for instance, Russian. Lately I don’t do anything regularly, which is a big mistake; certainly much more serious than not knowing some opening lines…But for this summer I set myself some serious goals. When I am back home I will force myself to run every morning and do Yoga exercises. I am convinced that this alone, will already improve my results a lot. What is your favorite chess book(s) ever? What are your expectations about Plovdiv and Bulgaria? It is my first visit to Bulgaria, and unfortunately I know little about your country. But I read that Plovdiv is a unique historic city and I hope that I will leave it with many nice memories! What is your aim for the EICC? I like to be one of the underdogs-which I certainly am, being seeded around nr.130- and to play without pressure. I will just try to play good chess and hope to be in good shape, and then there is certainly a chance to qualify for the World-Cup. Last year I was in a similar situation (even being seeded around nr.200…) and went down in the Qualification-Tie breaks only. Tell us something more about the chess in Germany? German players are very disciplined and educated! What is the reason for this? Do you have special programmes for developing chess at schools in Germany? In the last years there is a lot of dynamism in chess-at-school programs and they become increasingly popular, partly also because German pupils had performed badly in the PISA tests, which started a big discussion in Germany how the education can be improved. There is a program in the Army for Germany’sbest sportsmen. After 2 months of formation they are exempt from further army services and get paid a monthly salary so that they can concentrate on their sports career. Chess is also included amongst these sports, but chess players can only stay 1 or 2 years in this program whilst professionals of other disciplines can stay in the program as long as they are among the best of the country. At the moment Elisabeth Paehtz, Arik Braun and David Baramidze are in the army program. 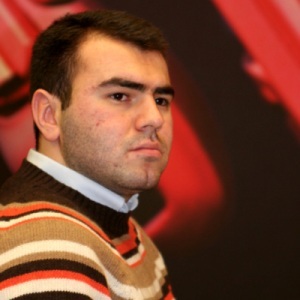 The top rated Chess player in Azerbaijan, Shahiyar Mamedyarov was interviewed for azerisport.com and “Mirror”. He speaks about his recent unsuccesses, his competition in Baku Grand Prix, and his trip to Dortmund. Azerisport: One after another you have participated in different tournaments, from Amber to the team championship of Russia. Lets admit, that wins were more scarce than loses, what is going on? Shakhriyar Mamedyarov: Well it looks like I’m playing okay, but its not working. Im trying to show people my game, but no luck. There were however, some successful games: I beat Kramnik and Ivanchuk, but overall I did not perform as well as I wanted too. Azerisport: If I’m not mistaken, the poor streak has been going on ever since the Memorial of Mikhail Tal. Shakhriyar Mamedyarov: Back then I was in good shape. My rating rose to 2780, but then the poor results started to creep in. Azerisport: Remember, how in one of the interviews at the end of the year, you said that you had some financial problems? Did they really have such a big impact on you? Shakhriyar Mamedyarov: Yes they did! Instead of preparing for tournament I keep thinking about this problem,even though in my young age I should be showing some result. Azerisport: Poor results impacted your rating: you are now in 7th place. Shakhriyar Mamedyarov: I don’t think that much about ratings to be honest. I just know that I can play at a high level and that’s it. Azerisport: Let’s stop with the bad, how about the good. During your “bad streak” which game stands out most in your head? 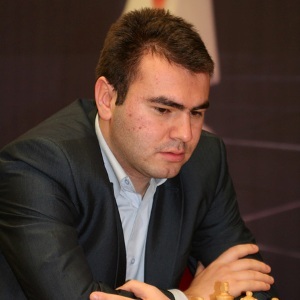 Shakhriyar Mamedyarov: The win over Ian Nepomniachtchi in the Russian team championship. I prepared so well for this game, that I beat him in 10 minutes. Azerisport: By the way, I was expecting you to play on board one in that tournament, but you played on board 3, why? Shakhriyar Mamedyarov: The “Spassio” administration decided so. In chess, like in soccer, you can’t demand to be placed in the starting team. Once you signed the contract you have to do what you’re told. Azerisport: Your “Spassio” and “Shatar” run by Vugar Gashimov couldn’t do anything to “Ural”, the team that Radjabov played for. Shakhriyar Mamedyarov: With the lineup that “Ural” had, it was a sin not to win. They were the favorites throughout the tournament. Azerisport: In a couple of days, in Baku, the first Grand Prix will start. Are you ready for it? Shakhriyar Mamedyarov: I’m ready to show my good side. I hope, that my native walls will help me end my “bad streak” and win the Grand Prix. I really want to break my bad performance. A win will give the impulse to perform well in the second big tournament. Azerbaijan chess players should show their strength. Even though, Vugar Gashimov is different from me and Teimour, new to the supertournament, but I think that even he will show his good game. Azerisport: Who do you think will be your biggest competition? Shakhriyar Mamedyarov: Everybody, but Magnus Carlsen the most. He is now the 5th best player on the planet. Azerisport: Where do you plan to go after the Grand Prix? Shakhriyar Mamedyarov: In the end of June there will be a big tournament in Dortmund that I am planning to join. There will be Kramnik, Leko, Ivanchuk, Van Wely, Naiditsch, Nepomniachtchi and one of the Germans. I hope for a good result.